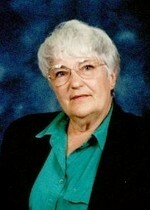 EVELYN S. FISCHER (nee Slees), age 80. Beloved wife of Norbert; dear mother of Mark (Tammy), Clark (Paula) and Erik; grandmother of Jacqueline, Jeremy, Tracey Childress, Jessica & Melissa Headley, Mark Jr, Morgan and Max; great-grandmother of Brianna, Jordan and Bailey Childress and Landon. Funeral service 3PM SATURDAY MAY 16TH AT BODNAR-MAHONEY FUNERAL HOME 3929 LORAIN AVE. CLEVELAND where the family will receive friends 12 NOON – 3PM. I want to express my deepest sympathies to the Fischer family. Evelyn was such a phenomenal person. I am honored to have met such a kind,caring, and honest individual. She has taught me not to take life for granted. Most importantly, she has taught me to conquer my doubts about life and to just go for whatever my heart desires.